Carmen Opera in four acts Viennese version Sung in French A Production Of Opernhaus Zürich and Clasart. 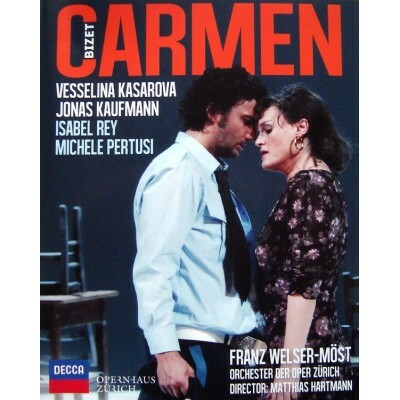 Filmed at the Zürich Opera House. 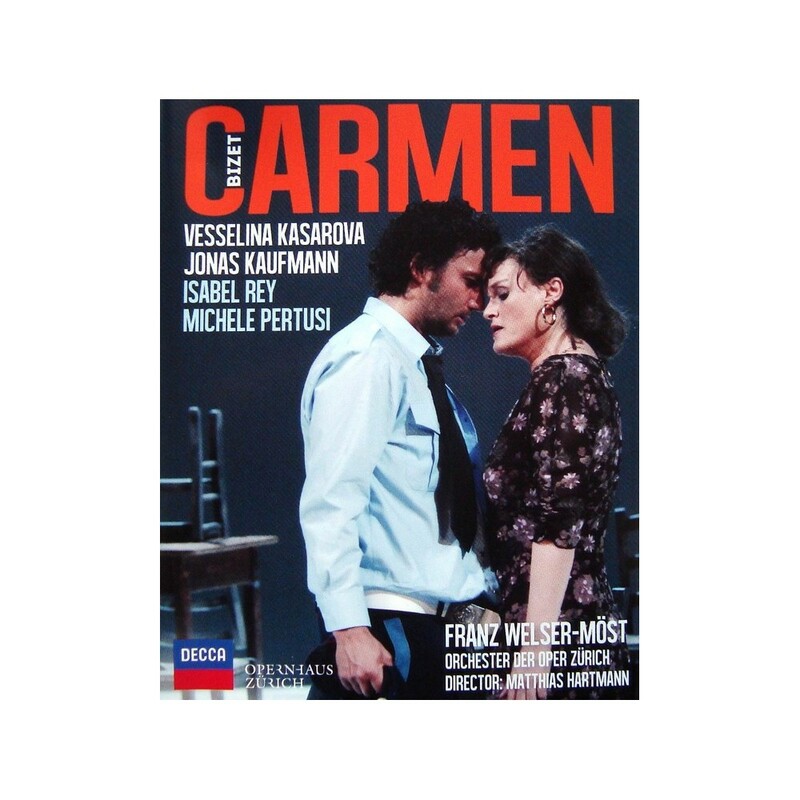 Film (C) 2009 Opernhaus Zürich Disc Specifications: Duration: 166 Mins / 1080i60 HD 16:9 / Colour / All Regions / Menus: English Sound: LPCM 24-bit Stereo / DTS-HD master Audio 24-bit Surround Subtitles: French (Sung language), English, German. Comes in standard BD Keep case with 32-page booklet.